Ever noticed how out-of-town trips carefully planned via lengthy group conversations often don’t push through? And how the best getaways are borne out of informal, last-minute invites? Travel junkies know by heart that making a booking during a flash seat sale is the best way to save money on their trip. But sometimes, it’s the thrill of it that makes one’s plans materialize. So what’s the best way to stage a getaway? Should you go on a planned holiday or wait for the gods of discounted airfares hand you over that surprise vacation? Let’s weigh things out and help you decide. Planned travels: What’s in store? A planned holiday entails that your trip comes with little to no stress and is devoid of immediate hassles. Decent lodging, transfers, and itinerary of attractions and activities are all guaranteed when you book months ahead of your travel date. You’ll save time and money. Making advanced reservations saves you from long queues at ticket booths. Also, many hotels and attractions offer discounts to those who book in advance. You don’t get FOMO. You evade the “fear of missing out” when you do your research on your destination. This means that your itinerary is well plotted out and you are aware of upcoming events and the operating hours of establishments. You get adequate recommendations. Take advantage of free advice from people have visited your forthcoming destination. You can learn what to do from their experience. You know exactly what to pack. Once again, your ability to research ahead of time will pay off. You will know the proper apparel to wear, the most comfortable footwear to bring, and even the right camera to take. Your documents are secured. Booking confirmations, passport, and other important emails are documented in advance and on hand. You can share your travel itinerary. 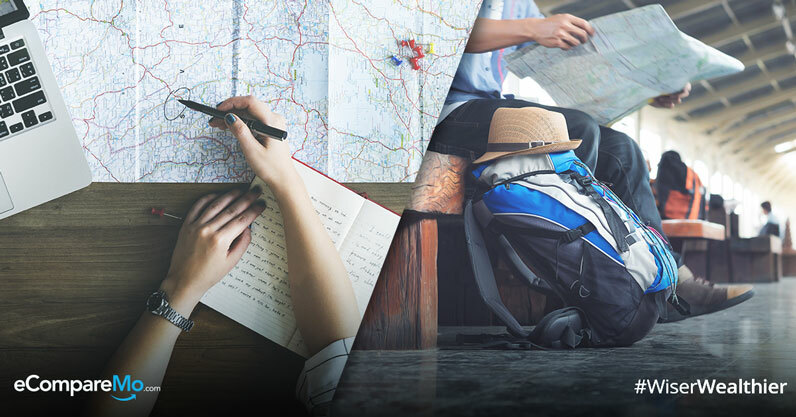 It’s easier to gather memories and even travel information if you stick to a plan. Share your experience in great detail via your travel journal, blog, or Instagram stories. What awaits in a spontaneous escape? Last-minute bookings are tantamount to added expenses and secondary options. But spontaneous travel can heighten the rush of anticipation for what’s in store. With a spur-of-the-moment adventure, you can discover the joy of traveling wherever the road takes you. You don’t have to wait. Sure, it is fun to look forward to a planned trip. But there’s also a lot to recommend about living in the moment. You learn to be adaptable to new faces and unfamiliar places. A break from the daily routine is necessary for building character. Consider a last-minute trip as training to test your response to unprecedented circumstances. You save time – surprisingly. Ever heard of analysis paralysis? Planning your travel requires time to collate options which can be overwhelming when weighing too many possibilities. Last minute escapades are about making a decision in a snap with no second-guessing. You also save money. As long as you are ready to go right away, you can score cheap flights and accommodations travel deals. Airlines and hotels give out last minute promos for very low prices in order to make sure any remaining seats and rooms get booked.